An Inspiring Night at the Wild & Scenic Film Festival! The Alliance for the Chesapeake Bay held our first ever Wild & Scenic Film Festival on January 24th at our four regional locations across the Chesapeake Bay watershed — Annapolis, MD; Washington, DC; Richmond, VA; and Lancaster, PA. Over 750 people gathered across the locations to watch inspiring environmental short films, participate in our raffle opportunities, and learn about the Alliance and support our work. 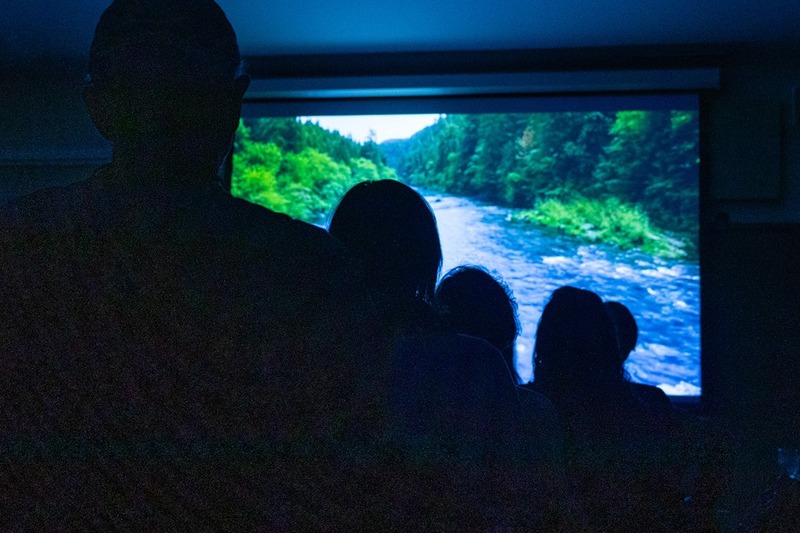 Attendees left the Film Festival that evening feeling inspired to take action in their own community to protect our environment and restore their local river or stream. Check out our blog post by our Executive Director, Kate Fritz, about her experience at the Film Fest and how it left her feeling. The Alliance Needs Your Help! As a hub for local and regional action, the Alliance for the Chesapeake Bay empowers the growing constituency of people who care about restoring and protecting the Chesapeake Bay region. We envision a future where the Bay and its watershed experience improved water quality and habitat through the committed environmental stewardship of those who live and work in the Chesapeake region. To continue to make measurable progress on this bold vision, the Alliance for the Chesapeake Bay is embarking on a strategic process to identify and assess our best opportunities for impact and we would value your input. We are asking our supporters to take a brief survey by February 8th to help us better understand the external perspective of the Alliance and our work. All responses will be confidential. Your input is essential. Together we will ensure the long-term success and effectiveness of the Alliance with a concrete plan for its sustainability. Thank you, in advance, for helping us to thoughtfully plan how our organization can do our best work in ways that contribute to our collective success and impact. The Alliance is committed to working with diverse communities across the Chesapeake Bay watershed to ensure all voices are represented in Chesapeake restoration work. This Black History Month, we are excited to highlight our partnership with Asbury Broadneck United Methodist Church, located in Annapolis, MD. The success of the collaborative project is built on the trans-disciplinary effort that was driven by the church and includes community members, watershed organizations, engineers, landscape architects, archaeologists, and more. Read our full blog post to learn more about the project. In January 2019, during the federal government partial shutdown, Alliance Businesses for the Bay member, Mobjack Bay Coffee Roasters, noticed a growing amount of trash collecting around the Cole Digges House in Yorktown National Historical Battlefield Park (where their shop is located) in Yorktown, Virginia. Knowing that the trash would soon make its way into a nearby river or stream, staff decided to sponsor a clean up effort on January 19 where they rallied nearly 50 volunteers to take action. Together, the group cleaned up all the trash on the Colonial parkway from Yorktown to Jamestown, and collected 9 pick up trucks FULL of trash. That's 23 miles of effort! Great work, Mobjack Bay Coffee Roasters! Welcoming Our New Maryland Restoration Program Manager! The Alliance is excited to welcome a new face to our team! Abbi Huntzinger will be joining us as our Maryland Restoration Program Manager in our Annapolis, MD office. As the Maryland Restoration Program Manager, Abbi will support the development, design, and implementation of in-the-ground projects that help improve the waterways, habitat, and communities throughout Maryland. She is a Registered Landscape Architect who strives to balance both building strong projects and partnerships. Read Abbi's full bio to learn more about her! Paula Lowry is a cost-share applicant with the Alliance's RiverWise Program. In 2018, the RiverWise Cost-share Program installed rain barrels, and planted rain gardens and conservation landscapes on properties throughout Richmond, VA. Paula and her husband live in the Oxford neighborhood of Richmond, Virginia. Paula selected Red-osier Dogwood (Cornus sericea), Sweet Pepperbush (Clethra alnifolia), White Turtlehead (Chelone glabra), Cardinal Flower (Lobelia cardinalis), and Soft Rush (Juncus effuses) for her rain garden. In 2017, Paula also participated in our Reduce Your Stormwater Cost-share Program, where she was able to install a conservation landscape. Qualified applicants can receive 80/20 cost-share on rain gardens, rain barrels, and conservation landscaping through our RiverWise program. Alliance pays 80% and the applicant pays the remaining 20%. If you live in Richmond and are interested in applying for the cost-share program, APPLY NOW! The deadline to apply for the spring application period is February 22nd. Questions? Please email ahagerdon@allianceforthebay.org. On Saturday, February 23rd, our DC team will attend Rooting DC, a free all-day urban gardening forum that provides education about urban agriculture and food systems, cultivates health and protection of the environment, and builds community. Queen Richardson, RiverSmart Program Assistant, will present on edible plants that are native to the DC metropolitan area. At this session, learn how to incorporate these plants into landscaping features such as rain gardens and BayScapes. Attendees will receive a take-home guide with more information on DC’s edible plants. Please stop by the Alliance for the Chesapeake Bay information table to learn more about stormwater and what you can do to protect the Chesapeake Bay watershed in your own backyard. Contact Queen Richardson Qrichardson@allianceforthebay.org for more information or visit rootingdc.org. The Alliance is hosting a PICP Specialist Course for contractors interested in becoming certified to install permeable interlocking concrete pavers (PICP) in Washington, DC. Please join us on Tuesday, March 12th 2019 for this all-day classroom session taught by a representative from the Interlocking Concrete Pavement Institute (ICPI). For more information and to register please visit icpi.org/picpwashingtondc. Preference will be given to contractors who are interested in working with our RiverSmart Permeable Surface Rebate Program. A limited number of scholarships are available. Questions? Please contact Laura Todd at Ltodd@allianceforthebay.org. The Chesapeake Monitoring Cooperative has been building a centralized database, the Chesapeake Data Explorer, to house citizen science data across the watershed over the past three years. We are excited to announce that in 2019 the Virginia Department of Environmental Quality (VA DEQ) is using the Chesapeake Data Explorer to collect citizen science data for their integrated report. The data collected includes Alliance RiverTrends data, as well as data collected from four other organizations throughout Virginia. 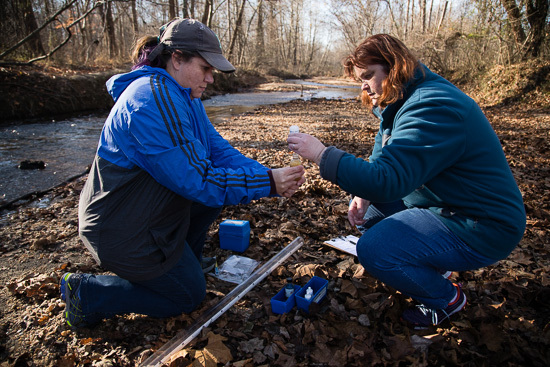 "The CMC database is a great resource for our agency, allowing us to access quality assured citizen volunteer data that helps us assess Virginia waters and safeguard its quality," said James Beckley, Virginia Department of Environmental Quality. Save the date for the Alliance's Project Clean Stream "All Hands On Deck Day" on April 6th, 2019! Join thousands of volunteers across the Chesapeake Bay watershed to clean up trash along streams, creeks, rivers, parks, streets, and much more! Visit our Project Clean Stream web page for more information. The Alliance is seeking an intern to assist in the coordination of our Project Clean Stream this spring/summer. If you're interested, visit our Jobs and Internships page. Check out our most recent blog post, Winter Watershed Activities to Get You Through the Cold Months! Point the way to a cleaner Bay! Please help us by taking a few moments to complete our Member Survey!